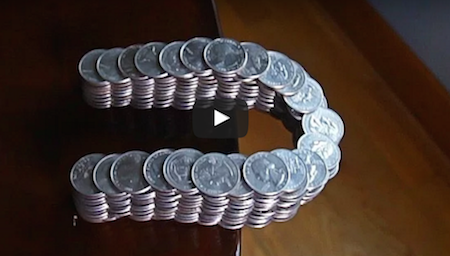 It Looks Like He’s Just Stacking Coins At First, But Wait Until You See What Happens! Living up to his name, YouTuber Crazy Russian Hacker recently did something truly insane. Stacking one quarter over another, he created a few towers of coins. When his formation was complete, he began pushing it over the edge of the table. That’s when something ridiculous happened! Check it out in the video below.